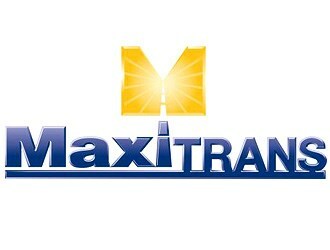 Shares in MaxiTrans have leapt more than 20 percent over two trading days after the trailer maker recorded a rise in net profit attributable to shareholders of 113 percent for the first half of the financial year (FY). The profit came in at $12.8 million, up from $6 million for the same half last year. Equally attractive to investors was the promise of a bumper full-year profit. "This is an outstanding result, which reflects strong demand for our key trailer brands; the benefit of a lower operating cost base; a growing parts business; and solid contributions from the acquisition of QDS and Azmeb late in FY12, as well as Transport Connection in October 2012," Managing Director Michael Brockhoff states. "With an order book which currently extends to June 2013 and a greater portion of our earnings coming from our parts business, we are well on track to deliver a record result for FY13." The result was driven by continued demand from the mining and resources sector and "a number of large orders from major fleet operators", which saw order intake for trailers and vans up 13 percent on the same period last year. And the parts business also came to the party. The combined Colrain and QDS business, MaxiParts, increased revenue by 91 percent and net profit before tax by 82 percent on the previous comparable period (pcp). "The integration of QDS's operations has been completed and the projected benefits and synergies from the acquisition are currently tracking in line with plan," the company says. "Strategies are in place to extract further organic growth and to continue to realise the synergies expected from the combined business." Indeed the parts and service segment represents a significant pivot for the company and now represents 35 percent of external segment revenue and 37 percent of segment net profit before tax. This compares with 16 percent and 11 percent respectively in 2008 and confirms the company's "strategy of building a more stable and recurring income and profit stream", it says. Freighter's performance was strong, with sales and order intake up 32 percent and 21 percent, with its order bank up 41 percent. It wasn't all good news. Order intake for tippers apart from Azmeb was hit by a lack of growth in construction and infrastructure activity across the country and a slowdown in the agricultural sector. Agriculture had seen buoyant demand which had helped the business through the global financial crisis. "Pleasingly, Azmeb order intake continued to grow as a result of strong activity in the mining and resources sector and the successful expansion of distribution coverage across Australia," MaxiTrans reports. Order intake for all tipper products was down 9 percent but sales rose 66 percent. For the vans segment, Maxi-Cube and Peki, sales were down 6 percent and order intakes 20 percent. Against that, MaxiTrans reported an order bank up 3 percent, with a "very strong January order intake" and "good demand from major fleets". "We are delighted with the strong strategic progress we have made in the business and that, after careful planning and execution, we have successfully acquired and integrated three new businesses which are performing well and delivering the expected synergies and benefits," Brockhoff states.